Vidyaranya B. Gargeya is a Professor in the Department of Information Systems and Supply Chain Management (ISSCM) in the Joseph M. Bryan School of Business and Economics at The University of North Carolina at Greensboro (UNCG). From 2006 through 2013, he was the Director of the Bryan Master of Business Administration (MBA) Program at UNCG and from 2013 through 2017, he served as the Head of the Department of Information Systems and Supply Chain Management. 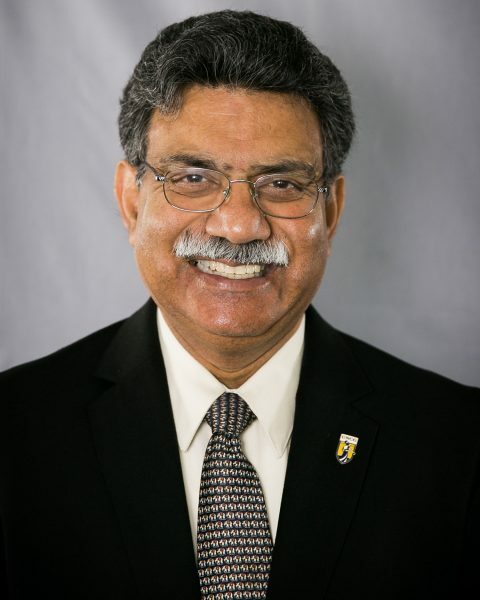 During the 2012-2014 period, Dr. Gargeya served as the co-Director of the Quality Enhancement Plan (QEP) process and a member of the Senior Leadership Team for UNCG as part of the re-affirmation of the university by the Southern Association of Colleges and Schools Commission on Colleges. Dr. Gargeya currently teaches primarily in graduate and executive programs. He holds a bachelor’s degree in Chemical Engineering from Andhra University, Visakhapatnam (India), a Post Graduate Diploma in Management from the Indian Institute of Management, Bangalore, and a Ph.D. in Business Administration from Georgia State University. He has considerable work experience as an engineer, and manager in the petroleum industry. Dr. Gargeya has taught at the University of Strathclyde (Glasgow, Scotland), Fachhochschule-Ludwigshafen (Germany), University of Hartford, Georgia State University, and the Jamnalal Bajaj Institute of Management Studies, University of Bombay (India). His expertise spans the areas of global operations strategy, supply chain management, total quality management and continuous improvement, customer relationship management, performance measurement, service operations management, and general management. Dr. Gargeya has received, for his contributions to teaching, numerous awards including The University of North Carolina Board of Governors Award for Excellence in Teaching (2008), Bryan School of Business and Economics Tenured Faculty Teaching Excellence Award (2007), UNCG Alumni Teaching Excellence Award (2006), Wick Skinner Award for Teaching Innovation from the Production and Operations Management Society (2003), Bryan School of Business and Economics Senior Faculty Teaching Excellence Award (2002), and the Bryan School of Business and Economics Teaching Excellence Award (1997). He received the Business Media Leader Mover & Shaker Award in 2009 and the Triad Business Leader of the Year Award, 2011. His teaching innovations include the ACID Test (an interactive case examination with a guest speaker presentation) and the year-long in-process integrative course (titled Pizza, Picasso, and the Pyramids) for first year students in the full-time day MBA program. Vidyaranya Gargeya has published more than 25 articles in journals such as Journal of Operations Management, International Journal of Production Research, Computers & Industrial Engineering, Omega, International Journal of Quality and Reliability Management, Case Research Journal, Technovation, Transportation Research Part E, Business Process Management Journal, Decision Support Systems, The Journal of the Textile Institute, and Clothing and Textiles Research Journal and has presented more than 70 papers at national and international conferences. He has co-authored a book titled Customer Relationship Management: A Global Perspective. Dr. Gargeya served on the Board of Examiners of the Malcolm Baldrige National Quality Award and the North Carolina Awards for Excellence and he has also consulted with Fortune 500 companies. He served as the Academic Affairs Faculty Fellow, University of North Carolina System for the 2017-2018 academic year.